We are delighted to say that we now have a cutting garden at Cowdray House. In keeping with our company ethos we don’t use any chemicals, weed killers or sprays and all of our flowers are grown naturally. We grow through a fabulous bio-degradable matting that’s made in the UK and not made of plastic as most are. A short 5 minute hop from our studio and Home in Midhurst, West Sussex , it’s ideally placed on the Cowdray Estate to enable us to pick flowers and arrange them in our bunches for the Cowdray Farm Shop for the same morning. We also provide weekly flowers for Cowdray House, the Cowdray Farm Shop Cafe and the Cowdray Golf Club where we’ll be adding some our our own flowers into the arrangements that we make. 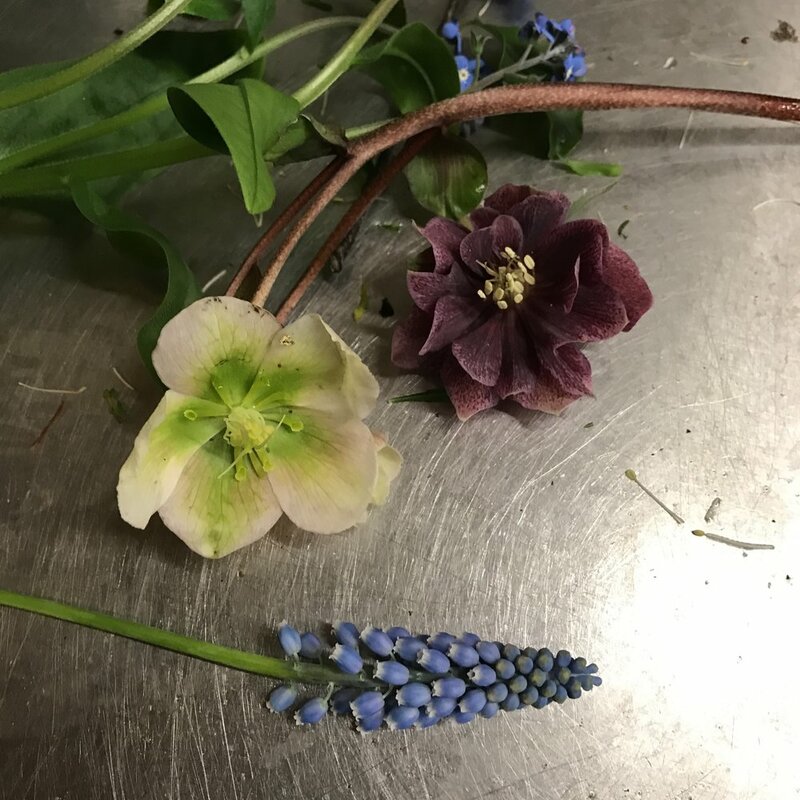 Our weddings and events business will benefit hugely from our cutting garden and we also intend to offer some courses on sustainable flower arranging later in the year at Cowdray House. Do sign up to our newsletter if you’d like to be kept informed about dates. Mothering Sunday, or the week of Mothering Sunday, is always such a lovely week at This Floral Life. It marks the beginning of Spring for me and it’s a mere 3 weeks to Easter; another favourite flowery festival of mine. This year was incredible. 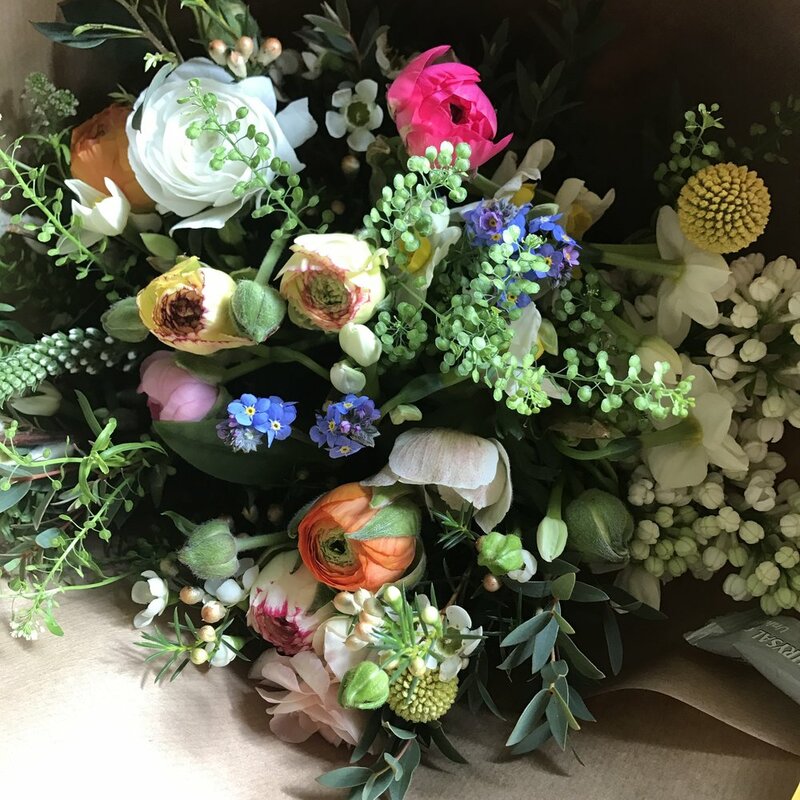 It was super busy all week for flowers and plants and then at the weekend we were re-stocking Cowdray Farm Shop every hour in between our other local deliveries. 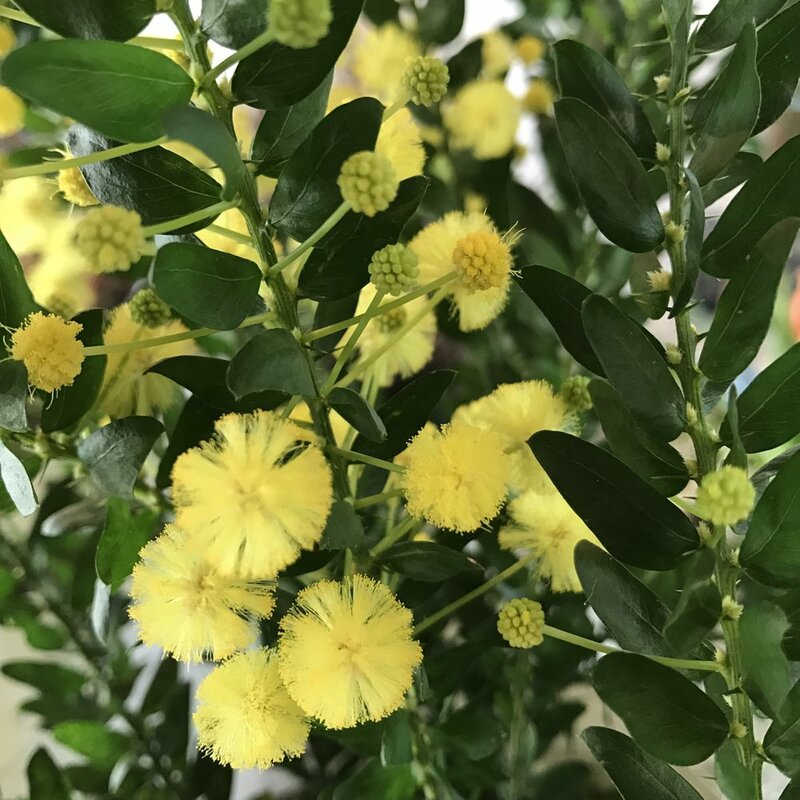 I had a hunch that it was going to be a much busier Mothering Sunday week than usual for flowers and plants and I think people needed some Spring cheer after the harsh winter. Okay, so I’m well aware that many people have an intense dislike of yellow flowers. I do understand this dislike but I think it stems from an historical poor use of yellow in flower arrangements and the fact that yellow was off trend for many years. Not any more though as yellow is currently enjoying its moment in the sun and for the last few seasons has been on trend in both fashion and home furnishings. With the proliferation of dark walls in interiors and dark backgrounds in print design a pop of yellow can look fabulous. Here are a few of my favourite seasonal yellow flowers for February. What a lovely, sunny weekend it's been for a Mothering Sunday. 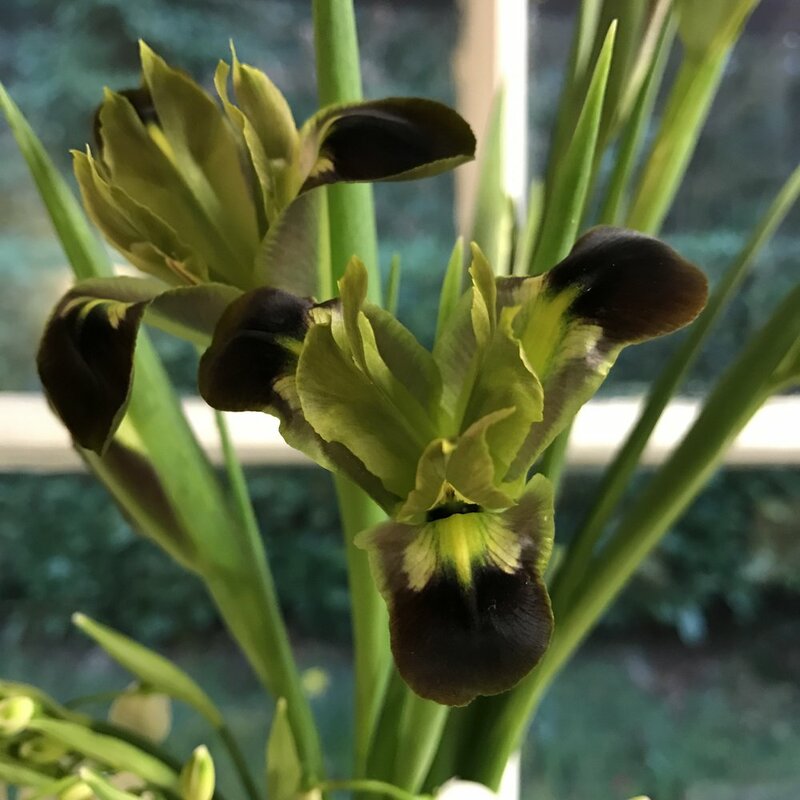 I provide all of the flowers and plants for the award winning Cowdray Farm Shop on the beautiful Cowdray Estate in Easebourne, Midhurst, West Sussex and with Mothering Sunday and the exceptional weather this weekend it's been a very flowery and busy week,. Here are a few photos of this weekend's bouquets, planters and plants. Whether as a garden plant or a cut flower the hellebore is simply incredible. From Dec to April these little plants brighten up our gardens with the most exquisite flowers often when few other plants are in flower. Plant some today so that you'll have beautiful flowers next winter, you won't be dissapointed! Who doesn't love be a magnolia tree in full bloom? The Magnolia in our garden is spectacular and makes my heart sing every day when I drive through the gate. Magnolia branches are sensational in a vase and I've been selling pink and white branches at Cowdray Farm Shop this week . They're not from my garden though as I couldn't bear to pick them!